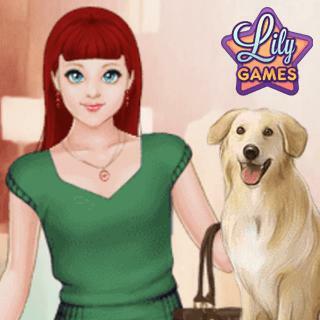 The sunny days are perfect for a little shopping tour and Lily is all set for the walk in the city in this stylish dress up game. Pick one of the colorful settings and give Lily a fresh makeover. Help her to dress up and choose your favorite dress among beautiful dresses, tops, bottom, hairstyles and shoes. Finish her look by selecting cute accessories and create the perfect style for a great shopping day! Shopping Lily - Find Shopping Lily in our vast HTML5 games catalogue. Only the best and newest HTML5 games for all audiences. Guaranteed success with Famobi.